Description: New Acer laptop upper case palmrest and keyboard. 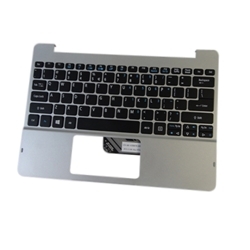 This part is silver in color and it does not include the touchpad. This part is for the Windows 8 version only. Acer Aspire Switch 10 SW5-011, SW5-012.